A few days ago, I posted my review of Nancy Churnin’s terrific new picture book, The William Hoy Story. Today, I am excited to share an interview with the author herself! Nancy Churnin is the author of five non-fiction picture book biographies. Her debut, The William Hoy Story: How a Deaf Baseball Player Changed the Game, published by Albert Whitman & Company in March 2016, received a glowing review in The New York Times and was featured in People magazine and USA Today Sports Weekly. William Hoy is a 2017 Storytelling World Resource Award Honor Book and a 2017 North Texas Book Festival Best Children’s Books finalist and is on several book lists: the 2016 New York Public Library Best Books for Kids; the 2017 Texas Library Association 2×2 Reading List and Topaz Nonfiction Reading List; the 2017 Best Children’s Books of the Year, Bank Street College and the 2018 Illinois Monarch Award Master List. Her second book, Manjhi Moves a Mountain (Creston Books), will be published Sept. 1, 2017 and is a fall 2017 Junior Library Guild selection. Coming up in 2018: Charlie Takes His Shot, How Charlie Sifford Broke the Color Barrier in Golf (Albert Whitman); Irving Berlin, the Immigrant Boy Who Made America Sing (Creston Books); The Princess and the First Christmas Tree (Albert Whitman). When she’s not writing children’s books, Nancy keeps busy as the theater critic for The Dallas Morning News. She lives in Texas with her husband, Michael Granberry, their four sons and two cats. How did you first become interested in the story of William Hoy? I am the theater critic for The Dallas Morning News. After I wrote a story about a fascinating play being staged at a local high school in Garland, Texas called The Signal Season of Dummy Hoy by Allen Meyer and Michael Nowak, I received a thank you e-mail from Steve Sandy of Ohio. I thanked him for his email and asked why someone from Ohio would be interested in a story about a play in a high school in Garland, Texas. Steve wrote me that he is deaf and shared his dream that more people, hearing and deaf, would know the story about this great deaf hero. Steve told me of his dream that William Hoy would be inducted into the National Baseball Hall of Fame, where he would be the first deaf player honored there. The more we discussed this, the more I knew Steve was right. I tried to figure out what I could do to help. That’s when I got the idea that if I wrote a children’s book about William Hoy, the children would help us. And so far, they have. I have personally delivered more than 800 letters from kids to the National Baseball Hall of Fame, which have been entered into his official file in the Hall of Fame library. What kind of research did you do while writing the story? Steve Sandy is a friend of the Hoy family and he shared all the precious things they had entrusted with him: copies of original letters, newspaper articles, photos. Also very important: Steve gave me an education on what it was like to grow up deaf in the 19th century as William Hoy had. He sent me papers about the international conference of deaf educators in Milan in 1880, when a declaration was made that oral education was better than signing. William Hoy never spoke. He always signed. This helped me understand and be even more in awe of the enormity of what he accomplished — bringing sign language to baseball and succeeding with pride and even a sense of humor on his own terms. In addition to Steve’s help, I am very indebted to Eric Nadel, the Texas Rangers Hall of Fame announcer, who is incredibly knowledgeable about baseball history. He double-checked my baseball references and was kind enough to write a blurb for the back of the book and to read it to kids at Texas Ranger story time sessions. Were there any interesting tidbits about Hoy that didn’t make it into the story? So many! One of the reasons it took me as long as it did to get to the final draft of this story (13 years, but who’s counting), was to figure out how to focus the story. I was able to add some anecdotes to the back matter, but I find kids enjoy hearing stories that didn’t make it into the book. I’ve got lots of stories, but my favorite one that didn’t make it is about his honesty. William was an amazing outfielder who made incredible catches. One day he was out in centerfield and the ball comes in very low. He catches it. The umpire calls the runner out. William shakes his head. No. The ball hit the ground. The runner was safe. One of the players on his team threw his cap on the ground because he was so mad! Years later, at the end of William’s life, a reporter asked him what his proudest moment in baseball was. William Hoy set a lot of records over the years. He even hit a grand slam to help the Chicago White Sox win the American pennant in 1901. But his proudest moment? The one where he let the umpire know the runner was safe. Your book presents a very human, relatable portrait of Hoy. How did you navigate the challenges of creating a story full of moving details while keeping it historically accurate? I realized I needed to figure out what William’s dream was, how he had achieved that dream and what he and we could learn from his journey. His dream was to play baseball. He achieved his dream through persistence, hard work and realizing that the very thing that made him different from his teammates — his deafness — was his gift. His mother applauding him in sign language in the beginning of the book returns as a memory to help him in the middle of the book when he can’t seem to connect with his teammates, the opposing team or the fans. The signs not only help him succeed in making those connections and being a successful baseball player, they make baseball a better game. Finally, the sign for applause becomes a way for the fans to show their love for him. I followed my instincts in writing the story. I went back and checked with Steve Sandy and Eric Nadel to make sure I hadn’t written anything that wasn’t historically accurate. I am so happy that the book has their blessing and the blessing of the Hoy family. In the book’s acknowledgements, you mention that you are on the “Hoy for the Hall” Committee, campaigning to get William Hoy inducted into the National Baseball Hall of Fame and Museum in Cooperstown, NY. Please tell us more about the campaign and how readers can support it! This book got its start with my determination to help Steve achieve his dream of getting William Hoy in the National Baseball Hall of Fame. Everywhere I present the book I ask kids if they think he should be in the Hall of Fame. They do! Then I ask them if they will draw pictures or write letters to the Hall of Fame. Some send me copies so I can post on my Facebook pages at Nancy Churnin Children’s Books and Nancy Churnin and on Twitter @nchurnin. You can find the address for the National Baseball Hall of Fame in the free downloadable teachers guide on the Albert Whitman website. This was a labor of love, which kicked off a passion to tell more true stories of people who are not well known, but should be. I have four more children’s books coming out and none of this would have been possible if I had not gotten the opportunity to tell William’s inspiring story. I am so appreciative of Steve and his wife, Bonnie, who have become such good friends to me. I am thankful for the opportunity to get to know wonderful people in the deaf community. It has been my honor and privilege to be interviewed by DPanTV alongside Steve Sandy about William Hoy, which you can see here. I am thrilled about all the people who have taken William Hoy’s story to their hearts and spread the word, through blog posts, reviews, interviews and putting the book on state reading lists because that helps get William’s story in the hands and hearts of more children. I recently heard from an 11-year-old boy I met at an airport last summer, waiting to get on a plane. I gave this little boy and his sister a copy of the book, which I autographed. Now, a year later, I received an email from the boy, saying he had been to his native Japan and saw The William Hoy Story in Japanese. He wrote that he found the books “piled up in front of the cashier as selected one of must-read books for 3rd and 4th graders during summer vacation. I was so excited and got one. I love this story!! I just wanted to let you know this great news.Thank you.” A letter like that is everything to me. The following is shared with permission. The Maryland State Department of Education/Division of Library Development and Services and Montgomery County Public Libraries would like to share information on the progress of the Deaf Culture Digital Library. The Deaf Culture Digital Library, the result of a bill that was passed into law, is the “first stop” information center that will provide Maryland residents, local public library staff, college and university librarians and other libraries in the state of Maryland with access to online resources on deaf culture, a comprehensive electronic collection of deaf resources, deaf cultural programs, and training programs for library staff. * The groundwork to formalize the foundation of the Deaf Cultural Digital Library is in progress. A letter of agreement between the Maryland State Department of Education/Division of Library Development and Services and Montgomery County Public Libraries (MCPL) is in progress. * The job descriptions are currently being written and refined. * Board members will then recruit members for the Deaf Culture Digital Library “Friends of the Library.” These individuals are expected to be strongly committed, well-positioned and able to promote community involvement, advocacy, and funding for the DCDL. * Additional details will be announced as they become available during the months ahead. 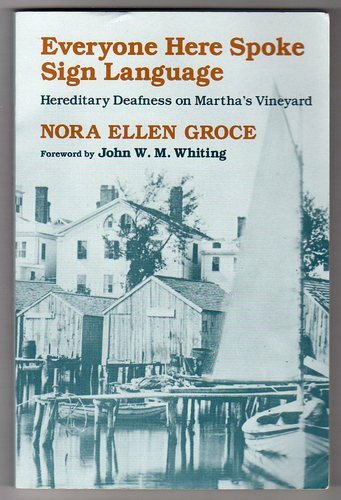 * For more information about the Deaf Culture Digital Library, contact Susan Cohen at 301-637-2964 (videophone) or Irene Padilla, 410-767-0434. * In September 2013 the eleven member task force, established to study the feasibility of the DCDL proposal, submitted a report with recommendations to the Governor. The final report to the Governor on the Deaf Culture Digital Library may be seen at: http://tinyurl.com/o3dcb7o. *On May 15, 2014, the Maryland General Assembly passed the bill to create the Deaf Culture Digital Libraryhttp://mgaleg.maryland.gov/webmga/frmMain.aspx?id=hb0653&stab=01&pid=billpage&tab=subject3&ys=2014rs. The credit for the concept of the library goes to numerous advocates including Alice Hagemeyer, Silver Spring Library resident and longtime advocate for the deaf community to have equal access to library services. Ms. Hagemeyer is the president and founder of the Friends of the Library for Deaf Action. 1. Who selected MCPL as the site of the Deaf Cultural Digital Library? The Division of Library Development and Services of the Maryland State Department of Education selected Montgomery County Public Libraries (MCPL) to manage the Deaf Cultural Digital Library (DCDL) for the state of Maryland. 2. Why was MCPL selected as the site of the DCDL? MCPL was selected as the site of the DCDL due to its long history of providing library services to people who are deaf and hard of hearing including communication access, deaf resources, collections of materials for, by, and about people who are deaf and hard of hearing, and programs featuring deaf authors and speakers on topics related to deaf culture, and coping with hearing level changes due to aging. These services are renowned throughout the State of Maryland and across the nation. 3. Who will take the lead on this project? Susan Cohen, Librarian II, at Montgomery County Public Libraries, will serve as the DCDL Project Coordinator. Ms. Cohen, who is deaf, has expertise in delivering library services to the deaf and hard of hearing community, deaf resources, and a long history of connections with the deaf and hard of hearing community. 4. How will this library be funded and how many staff will be hired? State funding for the DCDL includes personnel and other resources. Two full-time library staff members will be hired to help coordinate, organize and monitor the program. The librarian is required to be a deaf or hard of hearing individual, eligible for Professional Public Librarian Certification issued by the State Superintendent of Schools, and knowledgeable about library, literacy and accessibility related issues of deaf and hard of hearing individuals. 5. How will the two staff positions support the DCDL? Staff members in these positions will help plan and develop deaf cultural programs, give presentations about DCDL to Maryland residents and library staff, showcase library services at deaf conferences, develop and maintain the DCDL website, coordinate training sessions for library staff statewide, and support and facilitate vital statewide partnerships. 6. Where will the DCDL be located? The DCDL, an online resource, will be available virtually to Maryland residents and library staff throughout the state of Maryland. DCDL staff will be based at the Germantown Library. A few weeks ago I was presenting at a conference in Mystic, Connecticut, so I took the opportunity to drive up to Hartford for the day and follow the Hartford Deaf History trail. I am an enthusiastic student of Deaf history, so I was excited to see the places I had read about for myself. First stop on my tour: Laurent Clerc’s grave. Laurent Clerc, the brilliant Frenchman who gave up the worldly joys of Paris to come to America with Thomas Hopkins Gallaudet and establish a school for deaf children. Laurent Clerc, the first Deaf teacher in the United States. Laurent Clerc, without whom ASL and Deaf Culture as we know it surely would not have been possible. 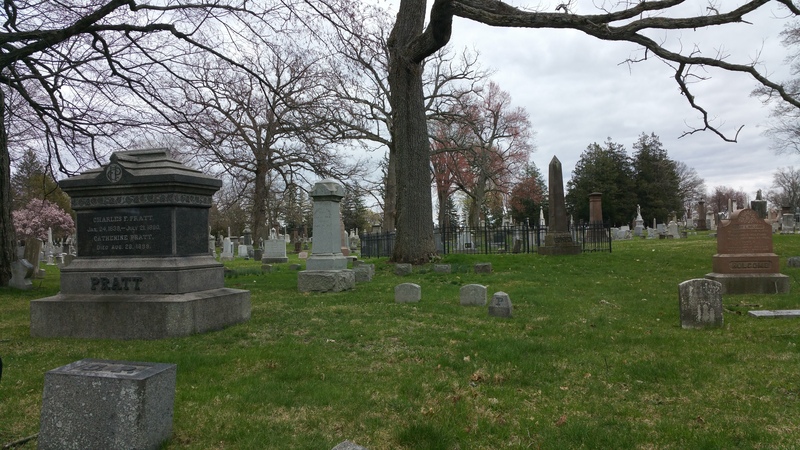 I arrived at Hartford’s Spring Grove cemetery on an unseasonably cold and blustery April day, to find the office closed and no clues to point to where the great man’s grave was in the huge cemetery. No worries, I thought, the internet will help. Except that every description of Clerc’s burial place lists the cemetery and nothing else. Fortunately, there was one picture of the gravesite that happened to show the fence beyond – a useful clue! Armed with that photo and feeling rather like Dan and Amy Cahill in The 39 Clues, I set off to hunt down the spot. Half an hour later, I found it. 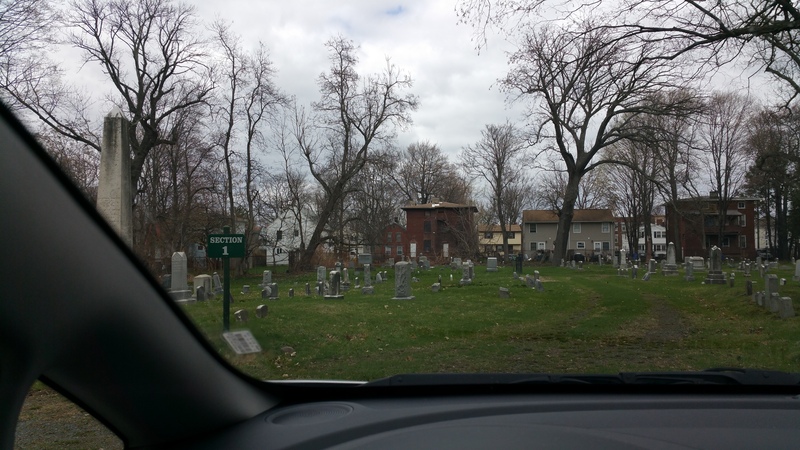 2) Go down the center road once you get inside the cemetery. 3) Veer to the right. Unfortunately you cannot approach the grave very closely because the Clerc plot is entirely fenced-in. 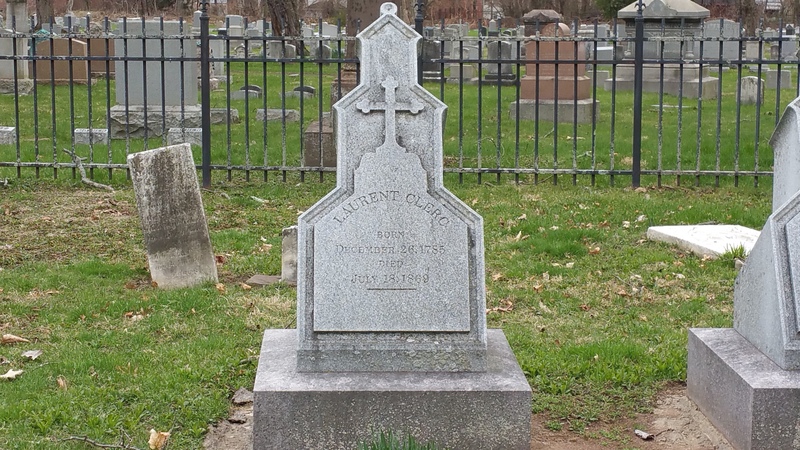 The graves of Clerc and his wife Eliza have been given new headstones in recent years, but there are other old stones in the plot that are impossible to read from the other side of the fence. When I finally found it, I stood outside the fence and signed a message of thanks to Laurent Clerc for all he had done and all the lives he had impacted. I know that ASL has changed a lot since his time, but I like to think that, wherever he is, he understood. Friend: Whatcha been up to lately? Me: Well, I’m taking a Basic American Sign Language for Library Staff. It’s been great. Friend: Are you learning a lot of signs? Me: Oh, yeah, quite a few, but I’m also learning about Deaf Culture. Friend: Deaf Culture? What’s that? Me: Yep. And here in America, it’s ASL. Friend: Wait, Isn’t sign language universal? Me: Nope. We’ve been learning a bit about the history of ASL. It’s based largely on French Sign Language; as a matter of fact, the first main teacher was a Frenchman, Laurent Clerc, a Deaf guy. Friend: I did not know that. Me: Actually it’s not! Because at the heart of the culture is the idea, or belief, that being Deaf or Hard of Hearing is a difference, rather than a disability or an impairment; that they are able to do so many things, with the exception of hearing, and they can and do contribute to society just as they are, without needing to be “fixed.”They believe that their differences are assets.They call it Deaf Gain. Friend: Gosh, I never really considered it that way.Because I love to hear so much -music, birds, the lakeshore and stuff–I can’t imagine that losing my hearing could be anything but tragic. Me: Oh, I hear you–no pun intended. There are so many varied experiences of people who fall into that continuum of deafness–for some it is definitely a loss. Not everyone who has the condition of deafness necessarily embraces the Deaf Culture. But, just think, for instance, if you were born deaf, or became deaf at a very young age, you wouldn’t necessarily think of yourself as missing something or losing something; being deaf would be part of your identity, like height, or eye color, or gender, you know? Many people like that consider themselves Deaf with a capital “D.” There are Hard of Hearing folks that embrace the culture; people who become deaf later in life, or people that grew up deaf but with hearing people in hearing environments who discover and embrace it; and there are hearing people – friends, family members, teachers, interpreters, and others–immersed in it as well, immersed in the language and community, sharing the belief of Deaf Gain. But for sure, not all hearing people are.Hey, have you ever heard of audism? Friend: No, can’t say that I have. Friend: Ha. Wow, it sounds as if you’ve gotten a lot of food for thought. Me too, now, actually. Friend:Show me some of the signs you’ve learned so far. Me: I’d be happy to! Want to learn more about Deaf Culture? Check out these links for more resources! Click here to read Kathleen Westbrook’s reviews of some of her favorite ASL resources for kids and families. Citizens for Maryland Libraries (CML) and Maryland Library Trustees (MLT) will have its annual meeting on Saturday, November 8, 2014, 9:30 am – 2:45 pm at the Fletcher Branch of the Washington County Free library in Hagerstown, MD. FOLDA, MD deaf community and libraries are grateful to Citizens for Maryland Libraries (CML) for its successful 2014 legislative session. It includes the requiring of the Division of Library Development Services (DLDS) of the MD State Dept of Education (MSDE) to establish a Deaf Culture Digital Library (DCDL). Maryland’s Governor signed it into the law on May 15, 2014. We also applaud the MD legislation for authorizing MSDE to include operating funds for the Maryland Library for the Blind and Physically Handicapped (LBPH) in its budget and for LBPH to receive a specified amount of funding each year. LBPH of MD, founded in 1968, has one sub-regional library, called the Disability Resource Center (DRC), formerly the Special Needs Library (SNL) opened January 6, 1986 in Montgomery County. In November 2006, SNL merged with the new Rockville Library and became the DRC. Under the direction of the National Library Services for the Blind and Physically Handicapped of the Library of Congress (NLS) and the DLDS, LBPH and DRC provide library services to all eligible blind and physically handicapped citizens, including deaf blind citizens and deaf citizens with disabilities and who are not able to use regular books, audio tapes and the related at the public library. Please make sure that DEAF BLIND CULTURE and also other Deaf Cultures in MD are aware of LBPH services in MD. Mary Titcomb, Librarian at the Washington County Free Library in Hagerstown, MD, first introduced the bookmobile or mobile library in the United States, in Maryland in 1905. Thirty-fifty years ago on December 6, 1977, the late Mervin D. Garretson made the first presentation about George W. Veditz at the Gaithersburg Public Library in MD. A copy of his presentation, The Veditz Genius, may be available from your local library. It has five illustrations of Veditz by the famed artist Ruth Peterson. –Alice L. Hagemeyer, President , Friends of Libraries for Deaf Action FOLDA E-Editor.